Includes DC component collection boxSAMPLE and Material collection. You can also install BoxUp Free directly from Extension Warehouse. A sample collection of Dynamic Components and Materials are included. Find it in Sketchup’s Component browser under BoxUp. Includes DC component collection boxKITCHEN and Material collection. You can try BoxUp Pro for 15 days. BoxUp Free version must also be installed to run BoxUp Pro. An extensive collection of Dynamic Components for kitchen design/manufacturing are included. Use it for reference, as base for your own collection, or use it as is. 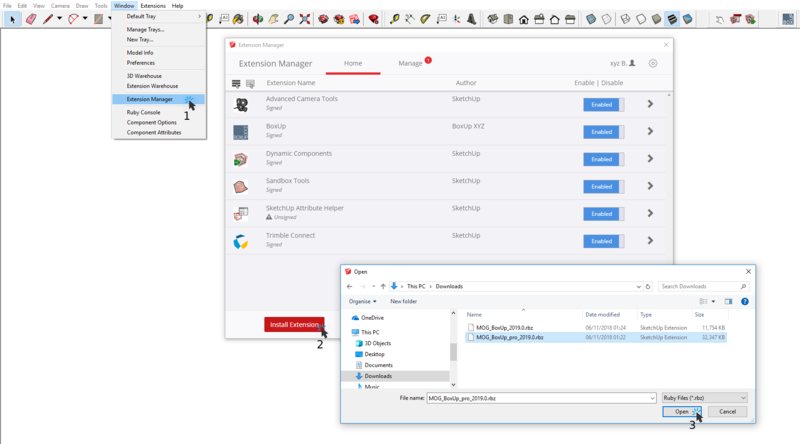 Find the collection in Sketchup’s Component browser under BoxUp. These component will only work with BoxUp Pro extension installed. 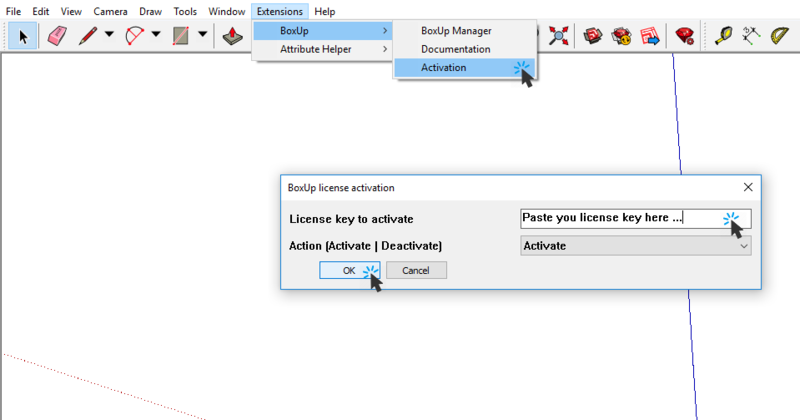 The license for BoxUp Pro 2019 will never expire, and you will receive updated until 2020.